Generally, I like to make my characters different from me. In Rain Song, Nicole fears flying while I love it! Having said that, I suppose I can’t help but create some attributes that resemble me. In How Sweet It Is, Deena decorates cakes (I had a cake-decorating business years ago) and works at an organization for disadvantaged kids (I did that after graduating from college). In Hatteras Girl, Jackie loves the North Carolina Outer Banks (yep, that’s me). Probably sneaking out of the dormitory in high school in Kobe, Japan, with friends. We’d walk down to the local train station and just sit in the quiet to talk. Yes, it was breaking the rules, but we were only 14 and 15, and our sneaky sides prevailed. Once caught, we gave it up. My first and second grade teacher, Miss Terwilliger, had me read my stories to the class and even marched me into the third and fourth grade classroom of our tiny Kyoto International School to read to them. I knew then that I wanted to write a book one day. I love women’s fiction. I also enjoy well-written memoirs by anyone. After my son Daniel died in 1997, I self-published two cookbooks in memory of kids who have died. Slices of Sunlight and Down the Cereal Aisle are still ordered by many. I also wrote two not-at-all-worthy novels before Rain Song. Actually, I did place one of the characters in Rain Song from one of those manuscripts. I liked Grandma Ducee so much that I couldn’t let her go. I don’t run. I walk twice a week. :-) All kidding aside, I don’t feel overwhelmed with the pressures of society. I like to keep busy. Some of the names are derived from my own Southern relatives. I held a contest for my fourth novel, A Wedding Invitation, due out next fall. I asked for three names and the suppliers of the names I chose got copies of my previous novels. They will be acknowledged in A Wedding Invitation when it comes out. Actually, I have two, one a little trivial, and the other, more defining. My first would be birthing four kids without any epidurals. But what is most amazing is what I do every day—surviving the death of my four-year-old son, Daniel. He died from cancer treatments in 1997, and I created an organization in his name. Through Daniel’s House Publications, I conduct online grief-writing workshops and all-day workshops. I also have empathy cards I’ve designed that I sell. I’d be an elephant because they are supposed to have good memories and never forget. Lately, I am much too forgetful. Sushi! No cream cheese or avocados, just the real stuff I grew up with in Japan. My greatest roadblock continues to be making myself write. I keep disciplined by creating a word count and sticking to it each day. Otherwise, I can get bogged down with spending too much time on Facebook, Twitter, or on the Internet. Write often, edit often. Be real in your storytelling. Keep your chin up and believe in yourself. Read, especially the genre you want to write in. Try to avoid clichés. Remember: The race is not always to the swift, but to those who keep on running. There are two things twenty-nine-year-old Jackie Donovan asks God for: an honest, wonderful man to marry, and to own a bed-and-breakfast in the Outer Banks region. In the meantime, Jackie works for Lighthouse Views magazine, writing articles about other local business owners, and intrepidly goes on the blind dates set up by her well-meaning but oh-so-clueless relatives. There's one specific property Jackie dreams of purchasing: the Bailey Place, a fabulous old home where Jackie spent many happy childhood afternoons, a place that has now fallen into disrepair because of its outrageous price tag. When Jackie meets handsome Davis Erickson, who holds the key to the Bailey Place, Jackie is sure God has answered both her prayers. But as Jackie learns some disturbing details about Davis's past, she begins to question her own motivation. Will she risk her long-held dreams to find out the truth? Lena, I don’t have access to this unless I were to open the book and type by hand the whole page. I’ve even deleted the file for Hatteras Girl from my computer. People can access the first pages by going to Amazon.com. Seated at the mahogany counter on a wobbly barstool, I wait for Mr. Wealthy and Available. Go to my website: http://www.alicewisler.com/ Also find me on Facebook and Twitter. Alice, thanks for this peek into your life. Welcome back to my blog, Cara. How did you come up with the idea for this story? Patchwork Mysteries is a series from Guidepost. Because I’m one of six authors, my editors give me a general idea of what they want the mystery in the book to be, then I get to flesh that out and bring my personal take and touches to the story. This one involves a map that was created that leads to a World War II era treasure. It was a lot of fun to plot and write. I would love to host a party like this! Jenny Jones would top the list because I love her heart for God, her southern sass, and her amazing writing. 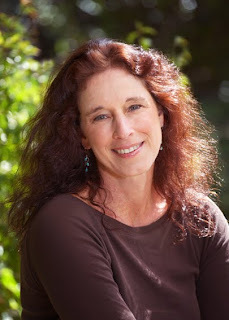 Then I’d add Susan Meissner who writes life-changing stories that tie the past with the present. Rachel Hauck has an amazing heart of worship plus a great laugh, so I’d invite her along with her bud Susie May Warren. Add in Robin Caroll with her wonderful southern suspense and dear friend Colleen Coble, and it would be a full and delightful party. I would really want to be a party crasher there, and you'd need me to even out the numbers. Now let’s do that for a party for Christian authors of historical fiction, what six people would you invite and why? There’s no question I’d start with Tricia Goyer because I love her World War Two stories and heart for people. Then I’d have to invite Dan Walsh and his wife Cindy. I was so thrilled when he had double wins in the Carol Awards last week – well deserved! Then I’d invite Julie Klassen because she makes a time period I never thought I’d like (Regency) come to marvelous life. And can’t forget DeeAnne Gist—for her amazing books and awesome laugh. I’d also invite Bodie Thoene since she inspired me to write World War Two books, and I’d ask you to join us as well since I so enjoyed Love Finds You in Golden, NM. Thank you. I'm glad you like it. Many times, people (and other authors) think you have it made with so many books published. What is your most difficult problem with writing at this time in your career? Writing proposals. I’m blessed to have several editors interested in working with me. The bane of my writing existence is actually crafting the proposals to turn my ideas into something tangible they can sell in house. I dread that process, but it’s a necessary step. I'm not enamored with writing proposals either. Tell us about the featured book. Patchwork Mysteries is a brand new series about a quilter who pieces together all kinds of mysteries. Set against the backdrop of a small New England town, these books will draw you in and keep you guessing all the way to the end. 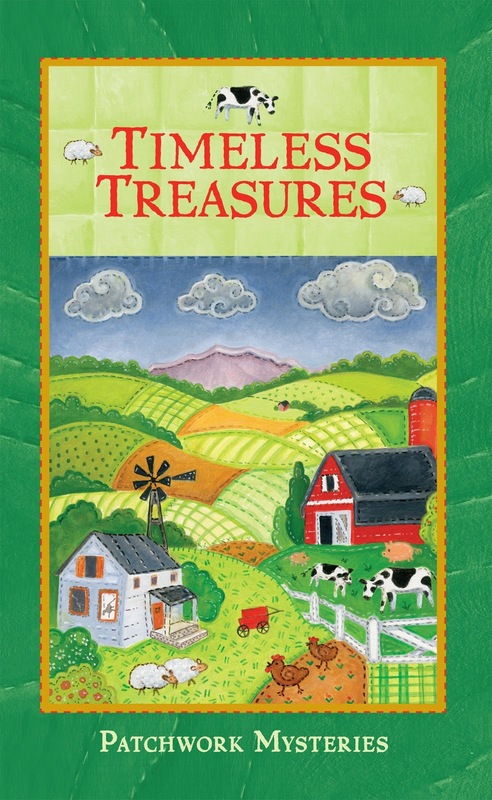 Timeless Treasures is the fourth installment in the series and focuses on Sarah Hart’s efforts to unravel the story behind an unusual quilt she buys at an auction. Could it lead to a treasure? Sarah hurried onto her front porch outside, pulling her collar tight against the bite of the Massachusetts November wind. Her daughter-in-law Maggie stopped in her steps on the sidewalk. “Eager to leave?” Maggie asked. Maggie must have been excited about the auction, because she could barely stand still as Sarah grabbed her purse. Her daughter-in-law bounced on her toes beside her red SUV. Clearly she wanted to be on the road. Sarah pulled her bag out of her car, slammed the trunk and hurried to the SUV. Maggie’s cargo area could hold lots of great finds. Add in the trailer, and if Maggie had her way, they would overflow on the return trip. “Hope so.” Maggie shifted into drive and eased from the curb. Sarah pasted a smile on her face as Maggie accelerated faster than necessary. “I’m sure we’ll arrive with plenty of time to scan the collection before bidding starts.” In fact, if they left too soon, they’d stand around awhile, and the cold November air could make that a bitter experience. But the weathercaster had suggested the wind would die late in the morning, leaving a perfect fall day in its wake. With Maggie’s twins at school and her husband Jason at his office, Sarah and Maggie could enjoy the sale. “I can’t wait to find some good items today.” Maggie eased to a stop at a light, and rubbed her hands together as if already anticipating all the finds waiting for her. Sarah smiled. Days like this gave her the perfect opportunity to spend time with Maggie and get to know her better. Sarah loved this town, its people, and the pace of life, but when her son Jason and his family moved from Los Angeles earlier in the year, Maple Hill had evolved into something even more perfect for Sarah. Times like this morning, shared with her family, had transformed her life, adding a rich layer she hadn’t even realized was missing. Maggie hummed a tune and tapped the steering wheel in time as she guided the vehicle down Maple Hill’s main street. They can fine me at my website and blog: http://www.caraputman.com/, facebook at http://www.facebook.com/cara.putman or twitter at http://www.twitter.com/cara_putman. Thank you, Cara, for sharing on the blog today. 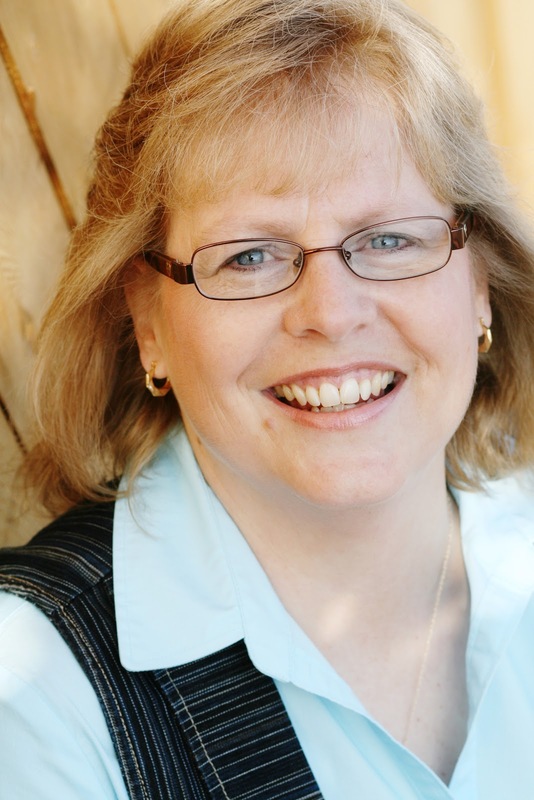 Donita is one of the most popular authors of Christian fantasy. Welcome, Donita. Tell us how much of yourself you write into your characters. I think I did that more as a beginning writer. After time, I became more comfortable with incorporating what I see in others. When I was in fifth grade, I wrote something my teacher thought was astonishing. I love books. My house is filled with them. I have shelves full of kids’ books, all for research, but I read them too my grandsons, of course. I also love to read Christian fiction, especially romance, suspense, and fantasy. God has managed to make me into a crawl, crawl, crawl person. I don’t try to keep up with the run, run, run crowd. Some names I choose because I like the sound of them. Other characters’ names come from foreign language or uncommon words. For example, Wizard Fenworth is a bog wizard, and the word fen is a synonym for bog. My tumanhofer names are the most fun to create. I pull out a phone directory and pick syllables from the names inside then I combine them until I have a name that sounds good. Educating my children in life and academics. I love dogs, but I’d be a cat because they rule in most situations. Brownies. Make that gooey brownies. There's not anything much better than gooey brownies. We should share some. What is the problem with writing that was your greatest roadblock, and how did you overcome it? I strive to make the next book better than the last one, and I go to different seminars and workshops that teach craft. 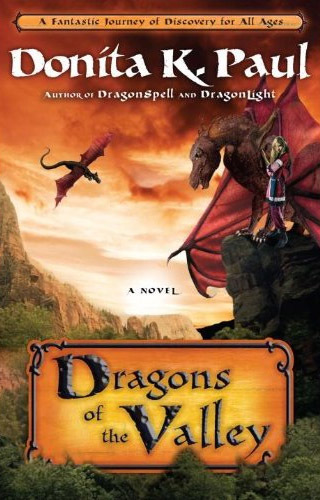 Dragons of the Valley is the sequel to The Vanishing Sculptor. Tipper and Bealomondore go on a quest to hide three powerful sculptures in order to prevent them from being misused by an evil ruler. Along the way they are chased by a vile bounty hunter, face the invasion of their country, and learn about who they are and who they can become. Bealomondore stood in the door of the darkened hall. Shadows hid the statue he’d been ordered to steal. His heart told him to retreat. His feet wouldn’t move. But the kimen, whose wildest flying lock of hair only reached to the tumanhofer’s knee, insisted that the statue be stolen. The artist cast the kimen a menacing look. The rude little man had startled him out of a sound sleep and proposed this ridiculous escapade. Bealomondore only wanted to go back to his chamber. In the middle of the night, the proper place for an aristocratic tumanhofer was his bed. Sounds really interesting. How can readers find you on the Internet? I have another website for the children’s book I wrote with my daughter. It is http://www.dragonandturtle.com/. Thank you, Donita, for spending this time with us. Welcome to my Facebook friend, my ACFW friend, and now a national conference friend, Suzanne. Tell us how much of yourself you write into your characters. I can’t imagine how any author could avoid putting herself into her characters in one way or another. I certainly do. And I put in just about everyone I know, in bits and pieces along the way. My latest novel, Conundrum, is 95% autobiographical, although it is a mystery. That was tough to write—all about my mother’s betrayal and the greatest pains I’ve suffered. It wasn’t, though, cathartic for me at all, and that wasn’t why I wrote it, either (that’s another story), but I’m very much in that book. I’d say most of my other nine novels in both genres only pull from my passions and opinions through the voices and actions of my characters. I’ve done a lot of quirky things. (I just looked up the word to be sure) Peculiar. Well, that’s subjective, isn’t it? To some people running a commercial pygmy goat farm might seem peculiar, but seemed pretty normal at the time. I chased a couple of bottlenose dolphins around at sixty feet underwater, which was one of my best experiences in scuba diving. And I hid behind my very tall husband when four 9’ reef sharks headed my way. Maybe not quirky but funny nonetheless. I’m very picky. I’d make a terrible book reviewer as I tear things apart. Being a professional copy editor and writing coach makes it hard for me not to want to redline all the books I read. And I find mistakes in almost all books, even highly acclaimed releases. With that said, I have only recently been reading CBA books as I do have some being published in that market. I don’t write to CBA. I’m not inclined to preach to the choir and feel led to the lost. So I mostly read NY Times ABA best sellers, to study what makes them popular (since that’s what I’m aiming for with all my commercial mysteries). I also read a lot of literary fiction, international authors, classics. I don’t read Romance in any form—not my thing. Otherwise I like anything from historical (not romance) to sci-fi to westerns. I’m a big fan of Walter Moers (who draws really hilarious pictures in his books), and I’d say my favorite books I read in the last year are The Art of Racing in the Rain (Stein), The City of Dreaming Books (Moers), The Thirteenth Tale (Setterfield), This Body of Death (Elizabeth George) and The Shadow of the Wind (Zafon). I run, run, run. Keeping sane isn’t a problem for me. I’m a type A multitasker. I do fifty things at once. I get frustrated wishing I pushed myself to write more, as I can’t keep up with all the book ideas I have, but I’m trying to learn to be balanced. I make sure to take my dog on a couple of walks a day. I read and relax for enjoyment, each a lot of chocolate, and take to the woods when I can. I don’t have kids at home anymore and I work at home, so I am blessed to be able to set my own schedule. Sometimes I edit at midnight. Other times I write at 6 am. Whatever moves me. As Elizabeth George says, character names are very important. I just roll names around in my mouth for a while until they feel right. I try to keep them simple and not stereotypic. In my fantasy books, they often have meaning. I mostly get a name in mind after I’ve really developed the character thoroughly. The name seems to just come with that. That’s not a fair question. I would pick so many! And the rule is you have to live in a perfect world. So I would probably be something that flies, since that’s got to be amazing. However, I wouldn’t want to have the mentality of an animal, because then I wouldn’t enjoy being one, right? I want to be me as a bird and really get into flying. Otherwise, the deal’s off. And I wouldn’t want to be a part of that predator-prey chain either. Always running and hiding so I don’t get eaten. No fun. Depends on the day. Chocolate is the easy answer. I love Thai and Indian food. I ran a b and b for 15 years and cooked a lot of gourmet breakfasts. My husband’s pumpkin cheesecake is up on the top of the list. Any kind of ethnic food. I think handling over twenty years of rejections and frustration over not getting published. Not really a writing problem. I had agents who loved my writing; they just couldn’t sell my novels. As far as the craft of writing goes, I always have minor roadblocks in trying to hone the craft and push myself to be a better writer. Mostly what has helped me is prayer and waiting on God. For example, I’m working on plotting book #11, Intended for Harm, a modern-day story of Jacob in a dysfunctional family. Yet, as much as I want to start digging in and writing the book, there are some key elements missing to the themes and I know God is working with me on this. I’m waiting for him to help me finalize the last bits and get that aha moment of the pieces all fitting together. Like all my books, I know there is a reason I’m meant to write it and a message it means to impart. I could just start writing, but I send his hand holding me back. Wait, he says. Not ready yet. I am thinking there is something I’m going to see, some revelation, that is going to smack me in the face and then I’ll have my green light. Writing as a believer is way different than writing when in the world. It’s all about God and what he wants out there. We want to produce much fruit, but Jesus also says without me you can do nothing. Zilch. I think this interview is featuring Someone to Blame. I wrote this book on a whim mostly, to have something for Jim Bell’s mentor track at Mount Hermon. I had just finished book two in my fantasy series and decided to write another mystery. It started in omniscient POV ABA audience. As usual, it has about 14 POV characters, shifting third person. Very commercial style book. I had pitched it to Zondervan but never got a response back. Then I submitted it in the Zondervan contest. I was a bit flippant about the idea because I had submitted the first chapter to the Genesis contest in ACFW and it was trashed badly to where I felt like giving up on CBA (I feel that way a lot). But to my surprise, the book won the contest (publication and an advance). It’s a very edgy, gritty book with a lot of slimy characters. In essence it’s a murder mystery but since those aren’t popular in CBA it’s being called a “relational drama.” It is a heavy story about a family that’s suffered great tragedy, and although they hope to heal by moving to a small town on the north coast, they collide into a drifter who comes to town when a string of crimes erupts. It explores both internal and external blame through the eyes and actions of all the characters. 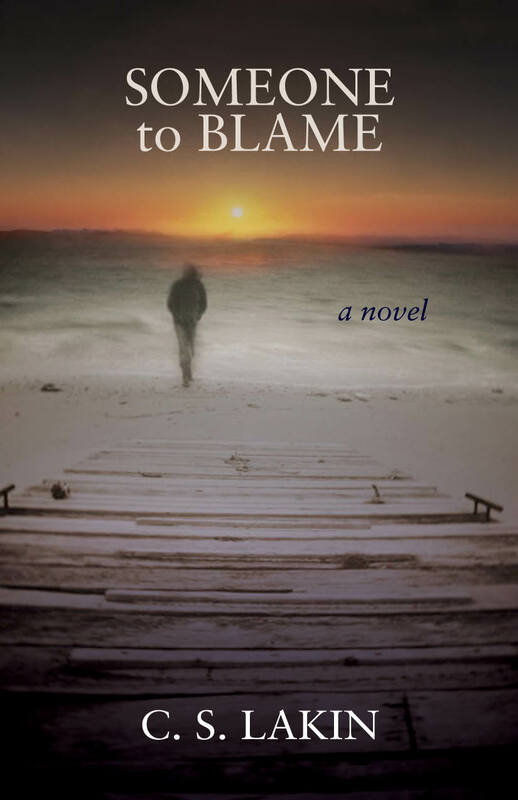 You can read the first chapter at http://www.someonetoblame.com/. The book starts with Irene in the truck as her husband is driving a windy river canyon road on their way to their new town, which she’s never even seen. She’s thinking about freefalling and how that word fits best the state she is living with after having suffered a recent horrific tragedy in their lives. She thinks about when people fall to their deaths from high places how merciful it is they only suffer a few moments of fear and then die. But real life isn’t like that. When you suffer tragedy you freefall forever. It sounds a bit morbid, but it’s conceptual. The book ends with Irene sitting in the same truck, but completely changed by grace. You got to read it to see the journey. Sounds like a very interesting read. How can readers find you on the Internet? And thank you, Suzanne, for spening this morning with us. Now I'm featuring Janelle Mowery with a solo book. Welcome, Janelle. Tell us how much of yourself you write into your characters. I think there’s a little bit of me in each of my heroines. I’m a bit of a tomboy and that’s in a couple of my characters. I love to laugh and make others join me. I’ve written that in some of my characters. Just little things like that go into each story. Oh goodness. I guess jumping out of an airplane could qualify as being quirky. Not to mention the fact that I thoroughly enjoyed my skydiving adventure. I tried to start writing novels the beginning of 2001. At the ACFW conference in 2003, I had an editor, a copy editor, and a published author tell me I had a great story. That’s when I started believing I really was a writer. I love reading mysteries, suspense novels, as well as historical romances. I’ve ended up combining all of those in my historical stories. Most of my historicals have a touch of mystery. I love that. How do you keep your sanity in our run, run, run world? I’m glad you didn’t ask my friends this question because they’d probably tell you I’m not sane. :-) But when I need some down time, I spend time out on our property. We have some areas that are almost completely devoid of modern noises. There have been many times I’ve gotten to watch the deer romp, or when they notice me, they will wander close to check me out until they get too nervous. But I also take a great deal of pleasure in just sitting with my husband out there enjoying God’s creation in the peaceful silence. Sometimes I use names that seem to fit the area of the country I’m writing about. There are also times I’ve used names that I’ve always loved or the names of people who have meant a lot to me and I want to pay tribute to them. Other times, I’ve used names that have a similar meaning to my theme or strong character trait. I would have to say our two sons. They have become amazing young men. I think I’d want to be one of Kim Sawyer’s cats. She treats them like royalty. That's right. What is your favorite food? I love prime rib, especially from Texas Roadhouse. Me, too. What is the problem with writing that was your greatest roadblock, and how did you overcome it? I have two. Note that I used the word "have." I still fight with the rule about R.U.E…"resist the urge to explain." I have a tendency to over explain in my stories rather than have dialogue and action tell the story. The other is myself…my self-doubt that tends to crop up every so often. I’m thankful for friends that continually encourage me. Love Finds You in Silver City, Idaho, is about a young woman, Rebekah Weaver, who was burned in what she thought was an accident. She thinks she’s healed both inside and out until her father’s handsome new assistant arrives on the scene and she worries he won’t see past her scarred exterior. Nathaniel Kirkland is working undercover to investigate a series of explosions in the mines and businesses of Silver City. As the two work together to uncover the perpetrator, what they find will lead them to the source of true beauty. Rebekah Weaver took careful aim at the dark green oval in the center of the rug, then swung the beater with all her strength. Whack! That was better. Right on target and sure to be felt. She struck the rug two more times for good measure, then stood back and observed her handiwork with a satisfied smile. Rebekah leaned the rug beater against the house and emulated her mother’s regal walk as she followed her to the buggy. “Your son...” She blew out a breath that could start a windstorm. They can learn more about me on my website, http://www.janellemowery.com/. I’m also on Facebook and Shoutlife. Thank you for spending this time with us, Janelle. Simply Stacie is the winner of Judgment Day by Wanda Dyson. Ann Lee Miller is the winner of Reinventing Rachel by Alison Strobel. Michelle (scraphappy71) is the winner of A Memory Between Us by Sarah Sundin. Debra E Marvin is the winner of Immanuel's Veins by Ted Dekker. Sarah G is the winner of The Black Madonna by Davis Bunn. Anne Payne is the winner of Second Chance Brides by Vickie McDonough. 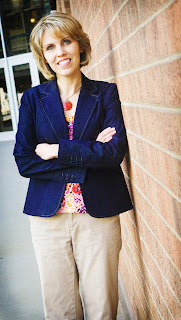 I write mysteries and suspense books because I can’t not write them. I’ve tried to write in other genres but these aspects always invade the story and take over the plot. I guess that’s because I love to read mysteries, thrillers, and suspense books. And in my opinion, every good book has to have romance in it so combining the two is natural for me. I can’t say I have one day that is the happiest, but have several days that are very memorable. The day I got married, the day my daughters were born, the day my oldest daughter got married and the day my adorable grandson was born top my list. Wow, so much has changed I hardly know where to start. Being published has made me more disciplined as a writer as I have far less free time than I used to have. I can no longer write just for myself and the enjoyment of writing, but always have to be cognizant of deadlines. This is not a bad thing—I praise God for the contracts— but it’s just different. Also, I participate in a lot more promotional activities that take time I used to devote to writing. And I have to mention receiving emails from readers who not only enjoy your work, but who share how the spiritual message in the book touches their lives and help them with something they are struggling with. There is nothing more rewarding than that. I usually read several books at one time so I am reading Steven James, The Bishop. If you like thrillers and have never read his books, you really must try them. No one writes a thriller as good a Steven James. I am also reading Lynette Eason’s Protective Custody. Lynette writes fast moving romantic suspense books and I love to read them. And lastly, I am reading Donald Maass’s The Fire in Fiction, a great book on the craft of writing. I just finished the first round of edits on Behind the Badge, my June-2011 romantic suspense release from Steeple Hill and am working on the first draft of the third book in the series featuring the Morgan brothers, tentatively titled, Relentless Pursuit. Since I live cross-country from both of my children, my dream vacation would involve having my entire family together. We could be anywhere as long as it didn’t involve roughing it outdoors. Most of my books take place in fictional towns in Oregon. I lived in the Portland area for five years and my children still live there. We have lived in nine states, but Oregon has been one of our favorite places to live so setting books in that area of the country makes me feel closer to it. I’ve given this one a lot of thought and there are so many people I respect and would like to spend time with, but my number one person would be Charles Stanley. I’ve listened to his sermon’s on Sunday mornings before church for years, listen to his messages on the Internet all the time and when I feel down or broken, I reach for one of his books to lift my spirits. He uses such strong biblical teaching yet makes it so practical to life that I would love to be able to talk to him about his experiences. That would be an interesting conversation. What are your hobbies, besides writing and reading? I love to spend time with my family watching TV or a movie, playing a game of just hanging out. When the weather is not brutally hot as it is now in Florida, I love to garden. My greatest challenge is crafting that all important first chapter and not rewriting it a zillion times. I can spend more time on that chapter than the rest of the book. And note I’m not talking past tense here as I haven’t really overcome it. But, if I am to meet my word count goals, I will have to stop being a perfectionist. We’ll see how it goes. There really are no shortcuts to publication, but there are easier ways of getting published. The first thing is to attend writer’s conferences to learn the craft of writing and network with other writers, agents, and editors. If you can’t afford to attend conferences, purchase the audio files for workshops that most conferences sell after the conference is over. Read books on writing. Join critique groups. And most importantly be teachable and ready to learn from those who are willing to help you. Nipped in the Bud is a lighthearted cozy mystery published by Barbour Publishing in their Hometown Mysteries series. 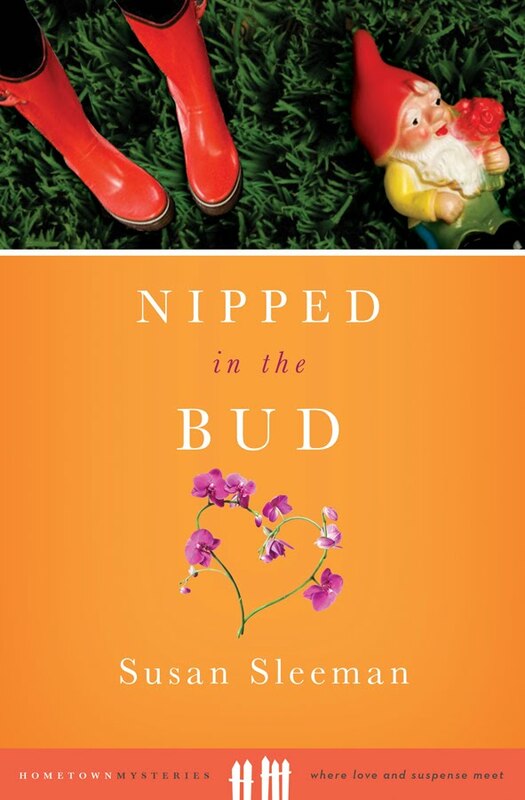 Nipped in the Bud takes place in Oregon in a fictional town named Serendipity and features Paige Turner, a landscape designer and host of a local radio show with more wacky callers than legitimate gardeners. Paige, more at home with plants than people, has a quirky habit of thinking of people by the plants they resemble and treating them accordingly. Paige has secured her first landscaping contract, sprucing up the city park for the upcoming Pickle Fest. But the day of a confrontation with the city manager, she finds him dead in a mound of mulch. With no alibi for the time of death and, according to the police chief, with plenty of motive to carry out the murder, Paige must dig her way out of the mess by finding the real killer. Attorney Adam Hayes aids in her search as he works hard to keep her out jail—and his heart. "Weed Whacker! You can’t possibly want to kill your husband!” I yelled into the boom microphone and looked for advice from my producer and best friend, Lisa Winkle. Tucked safely in her little booth adjoining mine, Lisa shrugged and twirled her finger in our signal that meant I should say something before dead air killed the show. Her finger picked up speed as if she possessed the power to spin me around and force words from my mouth. But what could I say? What could an unmarried gardening expert know about killing a husband? “Paige, are you there?” Weed Whacker’s tone bordered on desperation, elevating my concern. I gave up on Lisa offering any assistance and punched the mute button then searched through the middle drawer of the ancient metal desk. If I could locate the station’s talk show schedule, I could refer Weed Whacker to the self-help program. Well, Susan, you're all over the Internet. Thanks for dropping by. 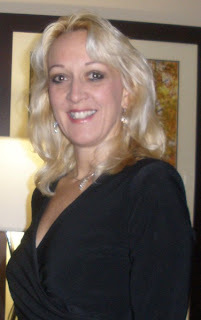 I'm thrilled to have my good friend Janice Hanna Thompson on my blog again. And with her new book Love Me Tender, she's writing about the song that I think is the most romantic song ever written or sung. Welcome, Janice. Debbie, could you tell us a little about what your day-to-day life is like? Most of the girls my age are in college, but I decided to stay in Laguna Beach and help my parents out at our family run soda shop. I have the best life ever! I live across the street from the Pacific Ocean, and love spending time at the cliffs, watching the waves lap the shore. When I’m at the soda shop, the jukebox is always playing. I’m gaga over Elvis’s new song, “Love Me Tender.” It’s all the rage with teen girls right now. Of course, I’m also head over heels for Bobby Conrad, but don’t tell my friends, okay? They think I’m more mature than most of the other teen girls who hang out Sweet Sal’s. Of course, I’m a little distracted by that new guy, Johnny Hartman. He’s so sweet and handsome, and I hear he’s a great singer, too! Johnny, I read in another article that you came all the way from Topeka Kansas to Hollywood to make it big. How does Hollywood compare to Topeka? There’s really no way to compare Topeka to Los Angeles. People out here (in California) are more up on current styles, the hottest tunes and the hippest actors and actresses. Back home, folks are so grounded. That isn’t always the case here in L.A. I hope I don’t sound too stuck up when I say that back in Topeka, I was a big fish in a small pond. And because my dad’s a pastor, I had plenty of opportunities to sing in church. But out here in L.A. no one even knows who I am. My agent, Jim Jangles, is working hard to get me a gig on television. I’m auditioning for Arthur Godfrey’s Talent Scouts soon. Say a little prayer for me! Bobby, I understand you were slotted to sing at the fundraiser at Sweet Sal’s Soda Shoppe, but had to cancel. Could you explain your sudden departure? Yes, I was scheduled to sing at the fundraiser, but just got word that I’ll be filming my new movie that same weekend. I was really disappointed to have to tell the Carmichaels the news, but hopefully they understand. I think it’s going to be okay, because my agent, Jim Jangles, is sending his latest prodigy—a kid from Topeka named Johnny Hartman—in my place. I hear he’s quite a singer. Sal, could you tell our readers about some of the Hollywood stars you’ve met over the years? First of all, thanks for including me in this interview! It’s been decades since I was a teen, but I still secretly read Hollywood Heartthrob magazine. (Shh! Don’t tell my husband, Frankie, or my daughter, Debbie!) I’m blessed to be the co-owner of Sweet Sal’s Soda Shoppe in Laguna Beach, and I’ve met a lot of stars who’ve come through on their way to places like Dana Point and San Diego. Here’s a list of some of my favorites: Doris Day, Gregory Peck, Frank Sinatra, Audrey Hepburn, Lucille Ball, Desi Arnaz, Ozzie and Harriet. There are dozens more, of course. I want to personally invite all of your readers to stop by Sweet Sal’s Soda Shoppe so that they can see the photos on our walls! And while you’re here, why not enjoy a creamy chocolate malt? Debbie, a little birdie told me that you and the other girls in Laguna Beach are gaga over Elvis, Pat Boone and Bobby Conrad. Now that you’ve gotten to know (and love) Johnny Hartman, what would you say sets him apart from the other great singers you’ve known? Johnny, you’ve been asked to fill in for Bobby Conrad at the Laguna Beach fundraiser. Can you tell us how you’re feeling as you look forward to the big day? I don’t mind admitting I’m a little nervous. Who wouldn’t be? Thousands of girls from Orange County and beyond are looking forward to seeing Bobby Conrad in person. Now I’ve been asked to fill in for him. I’ll be lucky if they don’t boo me off the stage or toss rotten tomatoes at me! Hopefully my new love song—the one I wrote for the gorgeous Debbie Carmichael—will win them over. I hope so, anyway! Bobby, many Christians have a hard time hanging onto their faith once they achieve stardom. You seem so grounded. What’s your secret? Sal, we were sorry to hear about your husband’s health problems. How is he doing now? Praise the Lord, Frankie seems to be doing a little better. His heart attack several months ago really shook us up. And we got behind on the mortgage, which has made me a little nervous. Still, I choose to trust God. And now that everyone in town is banding together to put on the fundraiser to save the soda shop, I’m feeling more hopeful than ever! Debbie, is there anything you’d like Hollywood Heartthrob readers to know as we end this interview? Yes, I would like people to know that it is possible to live in Hollywood—to be a big star, even—and still be a person of faith. I’ve witnessed it in Bobby Conrad’s life, and in Johnny’s, too. I’d also like to share that putting your trust in God is really the only way to go. Some problems are just too big for us to handle on our own. When my dad got really sick, I made up my mind to try to “fix” the situation. What I’ve learned is this—only God can truly “fix” anything. And trust me when I say that His “fix” is far greater than anything we could ever dream up! Thanks so much, folks! It’s been a great interview. Book can be purchased on my site at www.janicehannathompson.com or at www.amazon.com. 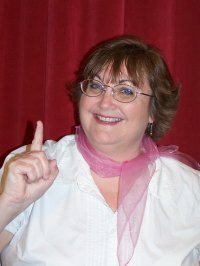 GIVEAWAY INFO: Janice Hanna Thompson is hosting a giveaway on her facebook page (http://www.facebook.com/jhannathompson). To enter, leave a comment on her page with the name of your favorite ‘50s star (movies or music) and explain why you liked him/her. The drawing to win the Be-Boppin’ ‘50s Basket (filled with great ‘50s memorabilia) will take place on the weekend of October 29th – 31st. Why? Because that’s the same weekend Janice is directing a local (Houston) production of JOHNNY BE GOOD the musical comedy that served as inspiration for LOVE ME TENDER. Thank you, Janice, for introducing us to your characters this way. 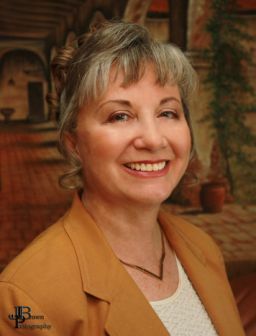 Susan Wales, a born storyteller and wife of film producer Ken Wales, is a popular speaker throughout the United States and a frequent teacher at writers’ conferences, as well as an award-winning author of numerous books. The Morgan Mint has graciously partnered with my Valeria's Cross co-author Susan Wales and me to offer a limited number of King Azes II Silver Pendants (minted in the days of the very early Church) to help promote our new book. If you have already purchased a copy and posted a review on Amazon, your blog, etc., I will be randomly choosing a couple of you to receive one of these beautiful necklaces. For others who will buy a book and email a proof of purchase (minus your credit card info, of course), plus post reviews wherever possible, you too will be eligible to receive one of these lovely pieces. Just be sure to give me clear mailing instructions so I can send one if you win! I received one of these, and it is really lovely. A real treasure. Welcome, Kathi. Tell us how much of yourself you write into your characters. At the deepest level of commonality, all my characters, to one degree or another, are ME. 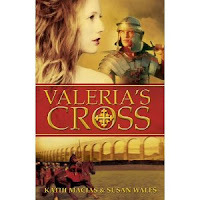 However, in Valeria’s Cross, I would say I’m much less visible than in some of my former books. This is undoubtedly because this book is based in historical facts, with very different circumstances than anything I’ve ever experienced. That fact made the writing of this book a much bigger challenge than I’ve faced before, but because my co-author, Susan Wales, is a research aficionado and already quite familiar with third-century Rome, it was a joy to explore and create this fictional account of historical happenings. Wow. I imagine people who know me well would say the list is long, but I tend to think of myself as relatively reserved (my German father’s daughter!). However, the very fact that I ride with my husband on his Harley, often going to various biker events to minister any way possible and being known by bikers all over SoCal as “Easy Writer” would probably be at the top of my list of quirkiness. I never wanted to be anything else. I was an avid reader as a child, and when I ran out of things to read, I wrote my own stories. A story I wrote for a class assignment in third grade was so well received by the teacher that she and the principal decided to turn it into a play for the entire PTA. I was hooked! It was thirty-five years later before my first book was published, but I’ve considered myself a writer ever since that public “coming out” incident. I love both fiction and nonfiction, but I prefer books that challenge me and take me a bit deeper than the usual. I bore quickly with rehashed info and don’t care for “escape reading,” though I realize there’s a huge market for it so I’m not criticizing those who fill that niche. It simply isn’t mine. I’ve written more than thirty books (published under my own name), and scores more for other people (celebs, etc.) Those thirty-plus books include fiction and nonfiction, series and stand-alones, even two collections of children’s issue-related books. All the most recent ones are visible/available on my website (http://www.kathimacias.com/). Right now I seem to be landing more fiction than nonfiction contracts, so that’s what I’m concentrating on at the moment. I know. I'm landing more historical fiction contracts, so that's what I'm writing right now. How do you keep your sanity in our run, run, run world? LOL!!! Who says I do? (Medication helps!) Seriously, the tyranny of the urgent is always threatening to keep us from accomplishing the necessary, so I am very disciplined to maintain my relationship with the Lord first and foremost. If/when He tells me to lay down this writing/speaking ministry He has so blessed me with, I’ll do so and walk away in a heartbeat. I only want to do what He’s called me to do today, for that’s all He requires of me. Of course, it’s easier said than done to maintain that focus, but it’s necessary to preserve our sanity. It depends on the type of book I’m writing. It’s much more important in fiction, but when I write contemporary fiction based in the American culture, I just go with names I like and that seem appropriate to the setting. However, in some of my series where the books are set in different countries and cultures, I study the country’s names and their meanings to choose those which best fit the characters’ personalities and experiences in the story. In Valeria’s Cross, of course, the primary characters’ names are historic facts. When we needed to fill in a few blanks with minor characters, we went with common names of the era. That’s a tough one. Over the years I’ve worked with some of the biggest names in Christendom and won lots of awards in the process. I’ve had the privilege of ministering in some of the toughest prisons in the country, even spending an entire day on Death Row at San Quentin. I’ve spoken to groups of thousands, both in person and via TV and radio, and led Bible studies in jail cells with two or three grateful inmates. I’ve served meals to the homeless, and seen my weekly devotional ministry, which I send out free each Thursday in both English and Spanish, get picked up and read by hundreds of thousands each week. And in the midst of those thirty-plus published books, I have experienced the stunning joy of having one of them achieve best-seller status. But the greatest success or accomplishment is ALWAYS when one of my readers or listeners comes to me and tells me that something I wrote or said enabled them to receive Jesus for the first time and/or to fall more deeply in love with the Father. It’s the ministry of reconciliation, however that reads out in my life each day, that is the most precious to me. Oh, now, that’s a good one! I love the independence of cats (and relate well to that), but God is always dealing with me about NOT being so independent, so maybe that wouldn’t be a good thing. Dogs are so faithful and loyal, so perhaps I’d have to go that route. At the same time, I must confess that my life is WAY too busy for any pets right now. I wish I could say it was something healthy, like celery or bean sprouts, but then I’d have to repent for lying. Pizza is right at the top of my list, along with nachos and Tillamook ice cream. (Yes, it HAS to be Tillamook!) However, you’ll seldom see me turn down a good cheeseburger or taco or… Well, you get the picture. My favorite ice cream is Blue Bell. It's made here in Texas. What is the problem with writing that was your greatest roadblock, and how did you overcome it? Two things. First, writer’s block. Journalism taught me there’s no such thing. Just sit your rear end in the chair and get to work, like any other job! Second, marketing. I hate it, and there’s no easy fix for that one. But I’m tenacious when I set my mind to something, and so I’ve made myself learn everything I can about that aspect of successful writing (since selling what we write is a definite part of that equation, right? ), and I’m seeing some success. At the risk of being the most unoriginal person on the planet, I’d have to say, Keep your day job! Unless you’re independently wealthy and simply don’t need to generate an income for a very long time (possibly forever), you need to maintain another source of financial support. I never cease to be amazed at how many people think I’m absolutely rolling in money because I’ve had a few books published! With few exceptions, I actually made more money doing ghostwriting and editing for other people than writing my own books. And, of course, I have a wonderful husband with a “real” job, who supports me financially as well as emotionally. This is a fictional account of historical happenings, a book about lost love, torn loyalties…and a dangerous faith. In the 3rd century, pampered Roman princess Valeria falls in love with Mauritius, captain of the Theban Legion. She sends him off to battle, where he suffers under the schemes of a notorious pagan general with an ambition for power and a lust for Valeria. In a scene based on true events, the evil Galerius kills Mauritius and his entire legion for their Christian faith. And in a shocking turn of events, the grieving Valeria is forced to become Galerius’ wife against her will. Never has a marriage been set up for such failure! Valeria loathes her new husband, but he seems to undergo a change of heart, adopting a child for her and giving her power and authority, and even love. She struggles with the commitment she knows she must keep, and the love she knows she will never find again. Shame on you! Valeria chastised herself as she serpentined through the secret passageway that led to her mother’s boudoir. Had the agonizing thought of leaving the palace during the exciting winter social season reduced her, the emperor’s daughter, to a common spy? Absolutely! Overhearing snippets of her parents’ conversation in the hallway, she knew she had no choice; eavesdropping was her only weapon. Valeria was determined to discover why her father was so insistent that she accompany her mother to Egypt. Near the end of the tunnel, Valeria broke through a maze of cobwebs to reach the secret entrance to her mother’s room. She pushed the door, rusted shut by years of neglect, but it would not budge. As a young girl, she had frequently played in the tunnel, but a couple of years ago, she had put away her childish ways. Frustrated, she kicked the door repeatedly until at last it opened. A puff of dust blew into the room and settled over the Turkish carpet like a storm cloud, but there was no time to clean. The echo of her mother’s singsong voice drifted down the hallway, warning of her imminent approach. Valeria scurried to a hiding place behind the damask draperies—just in time! The door swung open, and her parents, Emperor Diocletian and his beautiful wife, Empress Prisca, entered the room. Don't stop there. What a teaser! How can readers find you on the Internet? They can find me at my website, http://www.kathimacias.com/, or my blog, http://kathieasywritermacias.blogspot.com/. I am also on Facebook, Twitter, Shoutlife, and various other social sites. Thank you, Kathi, for the visit today. I'm so glad to have Mary back on my blog. We spent time together at the conference, and I got to meet her husband. What a pleasure! So, Mary, do you have a favorite genre to write? If so, what is it? I write romantic comedy with cowboys and I love doing it. I've always wanted to live in Minnesota in the summer and Texas in the winter. Get out of the extreme heat and cold. I guess I'm a spring and fall kinda girl. Me, too. What foreign country would you like to visit and why? I have a lot of America I'd like to see before I do any foreign travel. What appeals to me are ancient things. I'd like to see the Coliseum in Rome, the pyramids, moldering castles in England and Ireland and Scotland. So not a country so much as a look at a long gone world. I've always wanted to drive out into the Rocky Mountains. Pick a stunningly scenic spot and just stop. A cabin with deck chairs looking out on beautiful mountains and trees. Maybe see an elk with full antlers. I might be bored after two hours but I'd like the chance to see. My husband and I took a bus tour into the Rockies once, just for the day and I'd have liked more time there, with him. I'd like to set a story around the heavy…to me impenetrable…woods in northern Minnesota. I once went to the headwaters of the Mississippi, to Lake Itasca and it captured my imagination, swept me back in time, to look at those dense woods. I had a similar experience in Carlsbad Cavern many years ago. Long before I was writing books. I could just fully imagine the danger, the darkness, what it would have been like to go into those caverns with no light but a lantern, bottomless pits, twisting and turning tunnels. But I'm already writing that books, due out next July titled Out of Control. 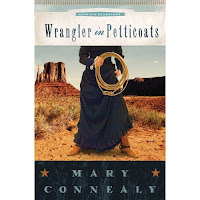 Wrangler in Petticoats. Sally McCellen finds herself injured and in the care of the biggest wimp she's ever met. Logan McKenzie paints pictures of the wild west—and claims he makes a living doing it. When the two of them see an elk she reaches for her rifle, he reaches for a sketch pad. The word DRAW means completely different things to them. When Sally falls off a cliff practically into his arms, he decides he's keeping her. So far her broken leg is keeping her close, but she's a quick healer and she needs to get some tougher help, because outlaws are hunting hard for the one witness to their crime. I'm loving this. Please give us the first page of the book. Sally McClellen fought to control her temper and her horse. But her horse wasn’t the problem. It was her temper upsetting the horse. He wouldn’t have been acting fidgety if not for her testy grip on the reins. So any trouble Sally had was all her own doing. “None of this gets me one step closer to Mandy. She needs me.” Sally was so anxious to get on down the trail she thought she might explode. They rode round the curve of a steep mountain trail and in the distance caught their first glimpse of a river lined with high banks of stunning red rock. Mrs. McGarritt knew full well how impatient Sally was, but Mrs. McGarritt, sweet and friendly as she was, didn’t let anyone push her around. The colonel’s wife sat her horse side-saddle in a proper riding dress. She had made her opinion known early and often about Sally’s manly riding clothes and her habit of riding astride. “It is beautiful.” Sally stifled an irritated sigh. They were here now, staring at the rocks. As if none of this group had ever seen a rock before. They all lived in west Texas or New Mexico. Their whole world was pretty much made of rocks. Sally tore her eyes from the view to intercept Mrs. McGarritt’s smug look. Paula was too polite to say, “I told you so.” But Sally caught the superior look and didn’t even mind. The crimson bluffs were magnificent. But was it worth the time they’d wasted abandoning the most direct path? When Mandy might be in trouble? She was at least suffering from terrible homesickness. Her last letter had been a poorly concealed cry of loneliness. But with a third baby on the way and no womenfolk within fifty miles, she really needed the help as soon as possible. Sally didn’t like it, but she said nothing, resigned to the delay. Now she rode along to take a closer look than their bird’s eye view from a mountain crest. They funneled down the narrow trail. The trail made its serpentine way down the mountain. Sally admitted it felt good to be on horseback again after the long train ride. They wove around a curve. As the trail twisted, Sally saw the end of this dangerous stretch only a few yards ahead and breathed a sigh of relief to pass this particularly treacherous section. Now with only a few more tortuous yards to cover, Sally relaxed. “Mrs. 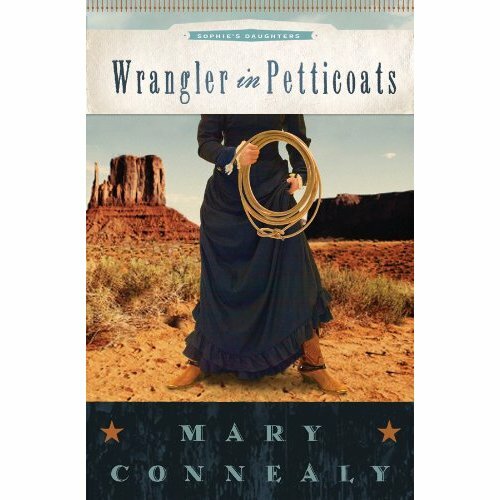 McGarritt,” she called out, wanting to tease the dear lady again about dragging Sally along on her joyride. Thank her? Not likely and well Mrs. McGarritt knew it. The two of them exchanged a warm smile. Mrs. McGarritt really was a sweetheart, for a tough old bird. There was a sharp crack of gunfire. Paula McGarritt slammed backward off her horse. Sally’s world slowed down and focused sharply as it always did in times of danger. Her hand went to her rifle before she’d spun to face the shooting. Another bullet sounded, from above. Someone shooting from cover. Smelling the burning gunpowder, hearing the direction of the bullets, Sally’s gun was firing without her making a decision to aim or pull the trigger. Wow! Bring the book on, right now. How can readers find you on the Internet? Thank you, Mary, for coming by today. 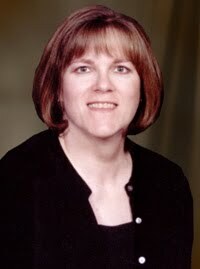 Patsy (plhouston) is the winner of Where Hearts Are Free by Golden Keyes Parsons. Appleblossom is the winner of Always the Baker, Never the Bride by Sandra D Bricker. Emily is the winner of Love Finds You in Deadwood, South Dakota, by Tracey Cross. Mozi Esme, Sarah, and Raspberry Girl are the winners of A Riverwalk Christmas by Elizabeth Goddard, Martha Rogers, Lynette Sowell, and Kathleen Y'Barbo. Barbjan10 is the winner of Hometown Ties by Melody Carlson. Tracey Bateman is the winner of For Time and Eternity by Allison Pittman. So good to have you back, Trish. What are some of the spiritual themes you like to write about? A few years ago Robin Jones Gunn said that, over time, a Christian writer will find an overriding theme emerging from most of her work—that’s what God has impressed upon your heart. I realized the overriding theme for me is the importance and power of leaning on God’s guidance. It sounds simple enough, but we don’t just wake up each day, naturally guided by His will. It’s something we need to keep turning to. And it makes all the difference in how our lives play out. In March my 1950s romance Unforgettable (Summerside Press, When I Fall in Love Series) will release. It’s the story of a 1950s ballroom instructor who becomes involved with a former WWII fighter pilot (now a newspaper reporter). Their experiences take them from Arlington (just outside of Washington, D.C.) to Manhattan, and they discover love along the way. In April Harvest House Publishers will release Book Two in The Tea Shop Series, Tea for Two. It’s about a young psychological counselor who helps a handsome young farmer by counseling his troubled teens without their knowing what she’s doing. At least that was the plan . . .
And the fun devotional I wrote with fabulous authors Kristin Billerbeck, Sandra Bricker, Diann Hunt, and Debby Mayne, Delight Yourself in the Lord…Even on Bad Hair Days, also releases this spring. Wow, I’m surprised at how difficult it was to answer this. I assume you prefer I also exclude close friends, and I must not be terribly impressed with people outside my own sphere! After much thought I actually came up with Ellen DeGeneres. I disagree with her on a number of political issues, but I think she has a good heart, and she’s one of the funniest women around today. I love to laugh, and I love kindhearted people, so Ellen it is. Today that would have to be Erma Bombeck. I’m a new empty nester, and I miss my boy terribly, as well as all (or, almost all) things parenting. Yet I can appreciate the whacked-out aspects of parenting and running a home more, now that I have full freedom and reign of the domain. Erma was hilarious, she loved being a woman and a mom, and I think she’d be a blast to spend time with. I’ve said something similar about this in other interviews, but it bears repeating. Rejections are disappointing, even when they come in-between acceptances. They’re far worse when they pile up, one after the other. Many writers, although drawn to writing, start to wonder if God is trying to tell them something with all that rejection. Is He using discouragement to guide me? Does He want me to quit? Here’s what God put on my heart several years ago, and I share it whenever I can. And you can know that, should He want you doing something other than writing, He will instill within you the desire to do that other thing. If you dedicate your day and your efforts to His will and ask for His guidance, He’s not going to kick sand in your face. He will simply draw you, lovingly, to a different pursuit. In the meantime, recognize that drive to write as His guidance. Honor Him with your perseverance. The time won’t be wasted. When Rick proposed, boyish energy bursting from every pore, he said she would even love his law firm’s stately, historic building. This was where she sat now, her dark bangs in her eyes. Despite the warm spring air, she huddled outside on the front steps, certain her brain—or surely her heart—would burst if she didn’t stop and collect herself. Thanks for stopping by, Trish. Too bad we didn't have a cup of that Perfect Blend.